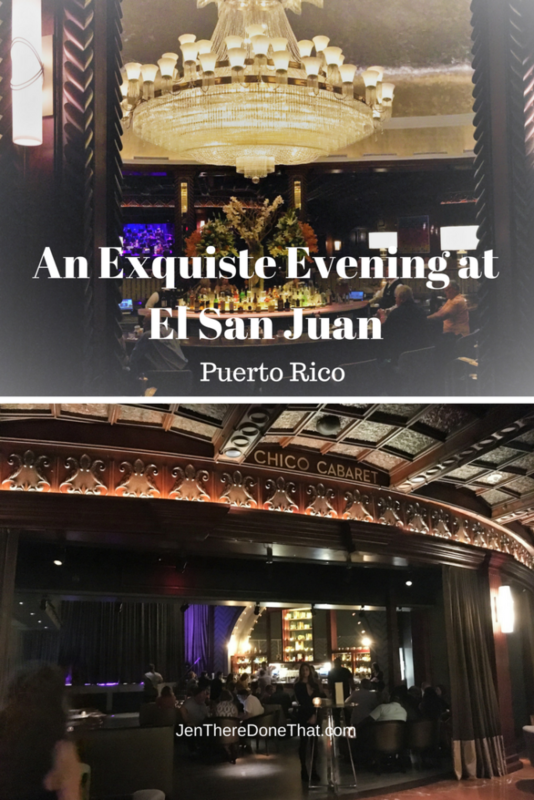 I recently enjoyed an exquisite evening of dinner, dancing, and (a few) drinks at the newly remodeled and quite fabulous El San Juan hotel located in Isla Verde area of San Juan, Puerto Rico. Reopened as part of the Hilton Curio collection, this luxury property oozes vintage Caribbean opulence and splendor. 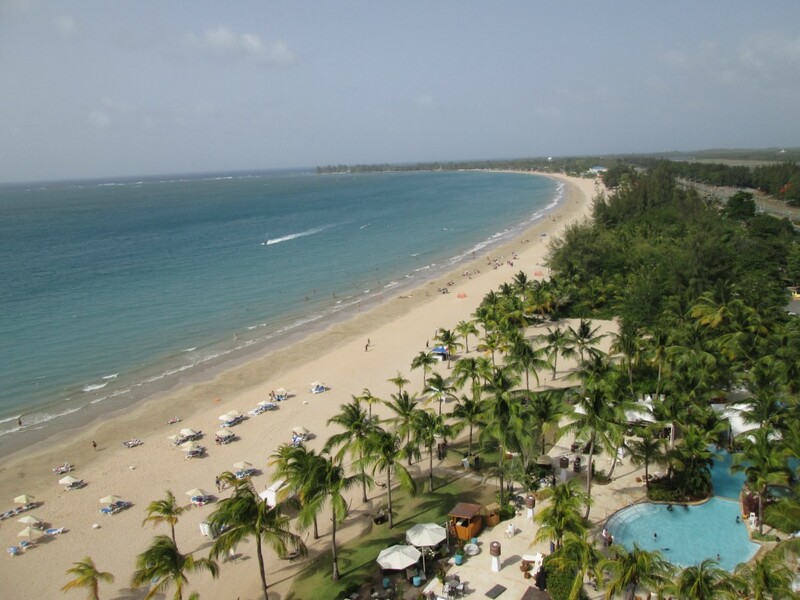 Puerto Rico is known for amazing beaches and a variety of rum drinks, including the famous Pina Colada. What about Art? Today, I set out to explore the art scene in Puerto Rico, starting with the capital of San Juan. My first stop was the Centro de Bellas Artes de Puerto Rico. The building is surrounded by outdoor sculptures, murals, and paintings (FREE Activity). Early morning is the best time to visit, it is quiet, cool, and empty. I had the entire plaza to myself, with The Muses. 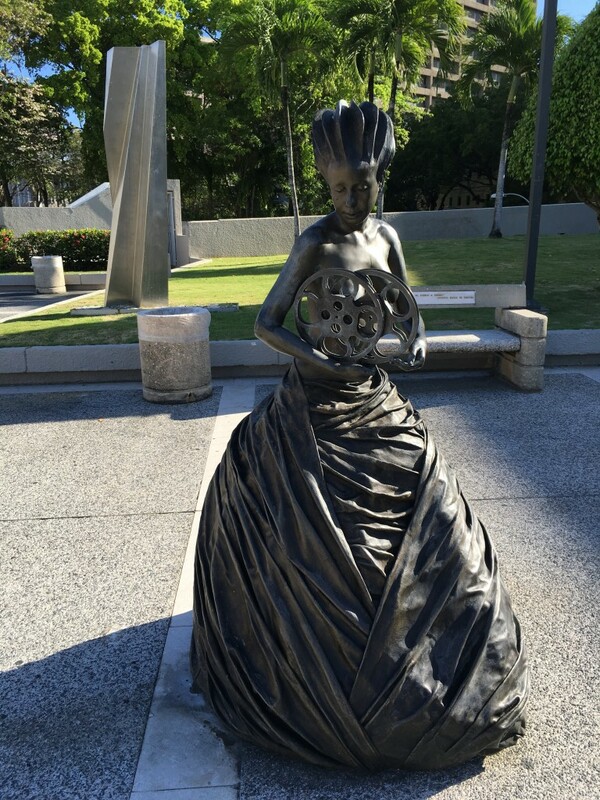 These eight bronze female life-size sculptures are dedicated to the types of arts and culture found within the center; music, theater, literature, dance, films (my favorite pictured below), architecture, sculpture, and painting. Inside are three main concert and theater halls for plays, ballet, operas, symphony, concerts, and festivals. With a bit of planning, a performance here may be in my future. Alarmist press coverage of the bleak economic situation in Puerto Rico has littered the news wires for the past two days, painting a picture lifted from the pages of Great Depression era newsprint. While we cannot deny the economic obstacles faced by La Isla de Encanto (the Island of Enchantment), we see little evidence that the economic woes translate to psychological depression. We are mainland US citizens, currently on the ground here in Puerto Rico for the past 7 days June 2015. We spent the weekend at the El Conquistador, an upscale Waldorf Astoria resort property in Fajardo, PR, in the northeast corner of the island. The hotel was full, primarily with Spanish-speaking patrons presumably residents of the island, as well as a mix of English speakers from the continental US. When we decided on Saturday to extend our full-price stay from Sunday to Monday, we required three separate sessions of sweet-talking at the front desk before a reservations agent found a cancellation for whom we could substitute. The hotel was 100% booked. There were several expensive looking weddings on the private island, at least one corporate convention, and the majority of folks out for off-peak season vacation. A local from the nearby SCUBA dive shop recommended a strip of local restaurants off-resort to try. We had several amazing meals, and were outside participants in a local beach party. Apparently one that occurs every weekend for families, foodies, car aficionados, and regular locals. They looked happy. There was plenty of food and drink, money changing hands, and friendly, smiling people. Over the course of the last week we have expressed to locals our desire to relocate here, and the response has been overwhelming support – not from real estate agents who will profit from our move, but fellow customers at a street food vendor and many regular folks we encountered. Surely some people are leaving Puerto Rico. There seems to be a regular and ongoing pattern of circular migration, where residents leave and return. We met several Puerto Rican born professionals who had recently returned to the island after a period in the mainland including a SCUBA instructor and an attorney. Neither expressed regret or hesitation due to the economic situation on the island. There is an influx of interest in the island. Many people born in the US are considering moving to the island. Some have generations of family on the island, while others are like me, without any family ties to the island. Article co-written by Jennifer & Jack , on the ground (not in the gutter) in Puerto Rico.